The National Council of Entrepreneurial Tech Transfer (NCET2) has created a capstone program to certify Startup Development Officers (SDOs) who assist universities, faculty, researchers, students, and entrepreneurs to create, develop, and fund university startups. SDOs work in collaboration with NCET2's corporate membership to identity and develop the most promising university startups and technologies. SDOs are former Fortune 500 executives, angel investors and serial entrepreneurs with extensive knowledge and experience in startups development, who will sit on boards of directors and boards of advisers to help guide companies from startup through successful milestones to a significant market event. Mark Leigh is working to accelerate profitability in organizations through improved sales, marketing, operations and planning. Currently he is developing start-up businesses as an active angel investor and board manager, using his experience to assist with commercialization of new products, evaluating business strategy and financial plans. Prior to his start-up and consulting work, Mark spent 20 years in the manufacturing industry as a senior executive managing businesses for both corporate and private equity ownership. He was the President of GSE Environmental where he worked to move the environmental plastics producer out of bankruptcy into a profitable entity focused on efficiency and growth. Before GSE, Mark was part of the management team at Orion Engineered Carbons which transformed the carbon black producing business unit of Evonik into a thriving stand-alone business publicly traded on the NYSE (OEC). During his tenure at Orion, Mark managed the Americas business and the global rubber business, providing leadership in pricing negotiations, strategic planning and resource efficiency. Mark spent his early career with Evonik Industries, a global specialty chemical manufacturer, managing the North American inorganic materials business where his customer and product knowledge led to improved margins and optimized capacity utilization. Mark has a Bachelor of Science degree in Chemistry from the University of Illinois and an MBA from Northwestern University, Kellogg School of Management. More than 25 years of experience in evaluating and developing life science technologies. Holds a B.S. in Biology from the Pennsylvania State University and a Ph.D. in Physiology and Biophysics from the University of Iowa. He completed a National Cancer Institute-sponsored fellowship in Biochemistry and Molecular Biology at the Mayo Clinic and a fellowship in Pharmacology at Duke University. 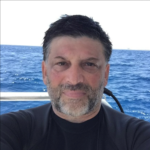 He was later appointed to two faculty positions – Assistant Professor of Natural and Health Sciences at Barry University and Research Assistant Professor at the Northwestern University School of Medicine. He was subsequently hired as a Senior Scientist in the Diagnostic Division of Abbott Laboratories where his work contributed to the validation and launch of seven cancer diagnostic tests on three instrument platforms. He moved on to entrepreneurial roles at several startups and a CRO where he participated in R&D, investment, licensing, and business and intellectual property development efforts. He was a member of the Technology Evaluation Committee for the Office of Technology Development at the Medical College of Wisconsin and subsequently hired as their Intellectual Property Marketing Manager. In 2008, he launched the Diehl Group which has now become Pathway Biotechnology. In 2017 he became an I-Corps mentor, coaching teams in lean start-methodology. Most recently, Michael (Mike) Rinkunas was the Senior Platform and Acceleration Program Manager at Dreamit Ventures. There he refined growth, product commercialization, & investment strategies for early stage healthcare startups, spanning digital health & information technology products to medical devices & diagnostics. During his time at Dreamit, he accelerated ~50 healthcare companies, helped 20+ of those startups close investor funding rounds ranging from $250K to $5M, and curated introductions for the startups with industry experts, corporate partners & potential customers. Before his tenure at Dreamit, Mike previously founded and lead several boutique digital media & marketing companies. He specialized in the strategic planning and execution of large scale projects for a wide range of industries and clients. Mike holds both a Masters and Bachelors in Industrial Engineering from Lehigh University. When not accelerating businesses, he can often be found in the cab of a steam locomotive while volunteering as a railroad locomotive engineer and conductor at Steamtown National Historic Site. Scott Garber's business career has constantly evolved from a very young age, but has always focused on solving specific challenges through innovative approaches and consumer experiences. A teenage beanie babies business and Pokemon portal eventually blossomed into Puppystock (2005-2007), an online marketplace with customized pet products. While Puppystock had tens of thousands of customers across six continents and was eventually acquired in 2007, FriendTones (2007-2008) disrupted the way content could be shared across nearly any network and device. Although FriendTones had hundreds of thousands of users and was acquired in 2008, it was ultimately before it's time and a very powerful education for all future roles. 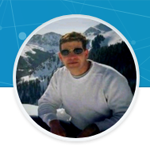 Since his ventures, Scott has directed large software development and deployment projects for Government clients (2008-2011), served as a strategy consultant for the deputy director of an intelligence agency (2009-2010), and founded/operated an international venture fund (2011-2014). More recently, Scott was the deputy head of corporate strategy and corporate development for a multi billion revenue company (2015-2017) and an entrepreneur-in-residence at AARP (2017-2018), focused on designing and disrupting the way seniors age in place. 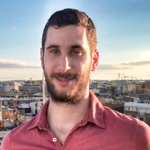 Scott has always been very passionate about building and helping startups - he's been an active angel investor in the mid-atlantic region (16 total deals) and is very excited to jump start the mid-atlantic startup ecosystem as the current Operations Director of Baltimore Angels. Transformed a marginal statewide, non-profit association into a robust organization and recognizable brand with enhanced services, resources, education, and communications. Implemented essential governance, financial and operational processes, as well as a much-admired advocacy capability. Increased membership and financial stability. Pharmaceutical R&D, management and strategic planning - led or contributed significantly to numerous multi-disciplinary discovery programs that developed new drug targets and key products like Lipitor®, Accupril®, Lyrica® in the cardiovascular and other therapeutic areas. Developed and applied highly innovative technologies. 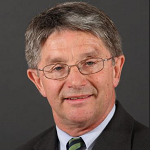 Elected official and community leader – helped develop and lead numerous policy initiatives, budgets, labor negotiations, risk management projects, financial governance processes, municipal infrastructure improvements, and economic development activities over >25-year span with tangible physical and operational outcomes that improved quality of life. Morris is a highly accomplished and proven Serial Entrepreneur/Investor, C-Suite Officer, Senior Executive, Consultant, and Board Member with significant success in technology, financial services, merchant and investment banking, asset management, distressed debt, green energy, cleantech, solar, geothermal, smart grid, renewables, mobile toxic waste management, pharma, telecom, internet, manufacturing, import/export, consumer goods (CPG), metals, private equity (PE), venture capital (VC), and consulting. Leveraging extensive experience in international business and capital raising, he is a valuable asset for a range of startup to midsize companies and social enterprises looking for acumen in market analysis, strategic planning, fundraising, and financing. His broad areas of expertise include corporate development and finance; executive consulting and management; leadership; entrepreneurship; investor relations; financial analysis, models, and structures; business strategy, planning, and development; competitive market analysis; emerging markets; mergers and acquisitions; due diligence; valuation; feasibility; integration; IPO; and LBO. As a Serial Entrepreneur/Investor and Managing Partner over 17 years, Morris has founded and directed multiple successful private energy, private equity, and telecom ventures focused on green and solar energy, geothermal, and biomass. He structured and marketed a $500M private equity fund to acquire small to midsize alternative energy companies held for long-term; developed a $320M waste to energy project in Guatemala; and served as Chair, Interim CEO, and Consultant for several geothermal and smart grid entities. The Focus IP Group provides a variety of consulting services in intellectual property matters, including serving as an Expert Witness services in intellectual property disputes, technology scouting, technology transfer and teaching the commercialization of early stage technologies. For 15 years, he led Boston University’s Office of Technology Transfer. He then became Special Assistant to the Vice President for Research for two years before retiring from full time employment at BU. He remains a Lecturer in the Strategy and Innovation Department in Boston University’s School of Management, where he teaches two graduate-level, inter-disciplinary courses on Technology Commercialization. Before joining Boston University he was Director of the Office of Technology Transfer at the Dana-Farber Cancer Institute, a teaching affiliate of the Harvard Medical School. During his tenure at Boston University, the Office of Technology Development spun out over 50 companies based on the University’s research, a number of which have raised substantial amounts of capital, and the University’s licensing income climbed steadily. He has recently been appointed a Guest Professor at Osaka University, Japan, where he teaches G-TEC, an intensive summer course on technology commercialization. Prior to entering the technology transfer profession, Dr. Stevens worked in the biotechnology industry for nearly ten years. He was a co-founder of Kytogenics, Inc., of which he is still a Director, was co-founder of Genmap, Inc., and was Vice President of Business Development for BioTechnica International. He started his career with The Procter & Gamble Company, where he held a number of positions in commercial development, sales, marketing, product management, strategic planning and acquisitions and mergers. Entrepreneurial scientist /business development executive with twenty years of experience in pharmaceutical and biotechnology field, employed in startup- phase to mature corporate environments. Over twelve years in Life Science Sales Executive and Business Development roles, including at least six of those years independent consulting. Self-motivated with a ‘hunter’ mentality and possessing excellent leadership and communication skills. Solid experience participating as a senior executive managing top tier global pharmaceutical accounts as well as hiring, training and building sales teams. Negotiated sales and technology out- licensing agreements with majority of top tier pharmaceutical, biotechnology , CRO and medical device companies as well as government, academic and healthcare consortiums. Additional experience with the payor-insurance space overlapping with healthcare-pharma. Led investment and partnering opportunity discussions. Identified, initiated and executed strategic partnerships as well as led exit strategy negotiations. Excellent understanding of R&D, clinical and regulatory environments. My passion is to collaborate with innovative teams to bring new product to market that solves problems for our customers in unexpected ways. Over 30 years I have led diverse organizations and cultures in the commercialization of medical device and optical communications technologies. As founding CEO of ophthalmic imaging company Bioptigen, I successfully navigated the startup lifecycle from Duke University spin-out, through funding, to FDA 510(k) clearance, commercialization, exit, and integration into a Fortune 200 public company. Funding avenues included individual and organized angels, a not-for-profit strategic partner, SBIR grants, and re-investment of gross profits from sales. Four SBIR Phase II and one FastTrack awards were among $9M in grants that funded three commercialization of three product families. I have been awarded two Frost & Sullivan awards for Innovation and Technology Leadership, and hold 60 US Patents. I earned my PhD in Optics from the University of Rochester Institute of Optics, and currently serve on the North Carolina State University Physics Alumni Advisory Board and College of Sciences Foundation Board. 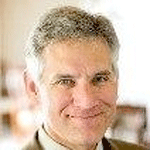 Stephen Socolof is a Managing Partner of New Venture Partners LLC (“NVP”). With over $700 million under management and offices in the US and Europe, NVP is the leading global venture capital firm specializing in corporate spinout venturing. NVP works closely with corporations to commercialize and scale up new innovations as standalone ventures. NVP itself was spun out of Lucent Technologies, where it had been an incubator for spinout opportunities from Bell Labs. NVP focuses on communications and information technologies as well as energy and materials. In addition to Steve’s firm management responsibilities, he leads deals in semiconductors, software, storage, and wireless technologies. He is currently a director of Alverix, CrossFiber, EverSpin Technologies, GainSpan Corporation, Own Products, and a board observer of Intelleflex. He was recently a director of Sychip, Inc. (sold to Murata) and an observer of Flarion Technologies, Inc. (sold to Qualcomm), and Silicon Hive (sold to Intel). Steve holds a BA in Economics and a BS in Mathematical Sciences from Stanford University and received his MBA from the Amos Tuck School at Dartmouth College, where he was a Tuck Scholar. 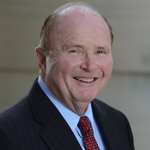 He currently serves on the board of the Center for the Study of Private Equity at the Tuck School. Mr. Morningstar is s 35-year veteran of the medical device industry, most of that in quality, regulatory and clinical affairs. A lifelong entrepreneur and investor, Mr. Morningstar has been active in the Colorado startup ecosystem for over 15 years. He co-founded Silverglide Surgical Technologies, Inc., a Boulder surgical instruments business successfully sold to Stryker in a planned exit. More recently he was an investor and senior manager at ValveXchange, a heart valve start-up in Denver. He holds a B.S. 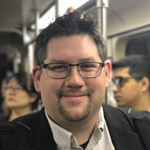 in Electrical Engineering from Michigan State University and currently consults in the medical device industry, digital health community, and startup ecosystem. Kevin is a member of Rockies Venture Club where he serves as Mentorship Chair and as a general partner in the Rockies Venture Fund. David Hayes is a serial entrepreneur, innovator, and university instructor with an extraordinary record of business creation. Mr. Hayes has an advanced educational background and proven, dynamic startup leadership and visioning capabilities. Mr. Hayes has much experience and success in both business and academic environments. Since July of 2000, Wayne Barz has managed the Ben Franklin TechVentures incubator program on Lehigh’s campus (2001 and 2012 National Business Incubation Association Incubator of The Year). The incubator is currently home to ~35 early stage technology companies and Wayne has managed Ben Franklin’s investment in and work with more than 100 tech start ups in the Lehigh Valley. Wayne is currently Vice President of the board for the Community Action Committee of the Lehigh Valley and is President of the Board of the Rising Tide Community Loan Fund. He has almost 30 years of experience in business and economic development, including: -	21 years managing business incubator programs in the Lehigh Valley -	6 years in private sector, managing economic development projects across PA, DE and MD. -	3 years managing projects and initiatives for Allentown Economic Development Corporation, including development of their Enterprise Zone and its revolving loan fund. -	Provided early leadership to create several Lehigh Valley initiatives including Lehigh Valley Land Recycling Initiative, Lehigh Valley Technology Network, Northeastern PA Angel Network and others. -	B.S., Economics, Lehigh University MBA (Management of Technology concentration), Lehigh University -	Inaugural winner of Lehigh University MBA Alumni of the Year Award for Entrepreneurship in 2012. 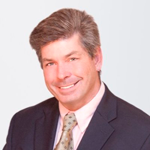 Don has 25 years of experience in building biotech, pharmaceutical and medical device companies, including fund raising, generating and cultivating relationships, developing and implementing business strategies and deal making. For the last 7 years Don led Business Development for Microbion Corporation taking the company from infancy to IPO / Acquisition ready. Previously he served as the CEO of Aursos, CEO and Co-Founder of AzoRx, Vice President of Business Development and Co-Founder for Genetic Immunity, Vice President of Business Development for Meridian Labs, and Founder and Business Operations for Artesian Therapeutics as well as Executive In Residence for the Apjohn Group. He served on the Board of Directors of Aursos, AzoRx, Artesian and Genetic Immunity. He holds a BS in Biology from the University of Maryland Baltimore County. President of Burnside Development & Associates LLC, Mr. Fraser now teaches academic technology transfer in several countries in South East Asia with colleagues on behalf of WIPO. He consults to the Serbian Innovation Fund on accelerating technology commercialization in the four largest Serbian universities on behalf of the World Bank. 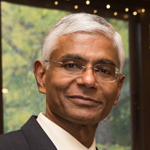 He is the Entrepreneur-in-Residence at the National Institutes for Standards and Technology (NIST), near his home in Bethesda, Maryland, amongst other consultancies. He left Florida State University in 2014, from his position as Assistant Vice President - Research and Economic Development and Executive Director of the Office of IP Development & Commercialization, FSU, Tallahassee, Florida. He was elected the 2006/2007 President of AUTM, the global association of academic technology transfer professionals and remains active in Association activities. Prior to FSU, he co-founded three companies and assisted entrepreneurs launch another twelve technology based firms. At FSU, he served as midwife for 30+ spin-out companies. Mr. Fraser holds a Masters Degree in Biochemistry from the University of California - Berkeley. Michael was previously Director of Corporate Venture Capital and Planning Director for Science and Technology at DuPont. He began his career at DuPont in Research & Development. where he held technology, marketing, and business leadership positions in DuPont Nonwovens and DuPont Advanced Fibers Systems until becoming Business Director for DuPont Nonwovens in Europe. In 2000 he became Planning Director for DuPont Central Research and Development, and added responsibility for DuPont’s venture capital investments in 2006. He worked across DuPont on R&D portfolio and innovation management and with external parties on collaborative research and open innovation. Michael holds a BA in chemistry from Columbia University and a Ph.D. in chemistry from Yale University. 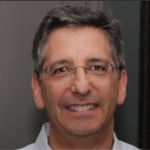 Michael Blaustein is Principal of the MAB Innovation Group. He is working with early stage companies and the entrepreneurial ecosystem on business development, innovation strategy, and corporate collaborations and venture capital investments, and with larger organizations on strategy and innovation. He serves as a member of the Ben Franklin Technology Partners of Southeastern Pennsylvania materials science investment advisory board. Ron Epperson is a seasoned energy, chemical and clean tech entrepreneur with over 35 years of experience as a corporate executive, consultant, entrepreneur, investor and mentor. Ron spent 20 years at Royal Dutch /Shell where he was responsible for commercializing seven new energy and chemical technologies. He also built and managed an international licensing business that successfully licensed technologies into Korea, Japan, Mexico, Spain, Austria, Germany, France and South Africa. 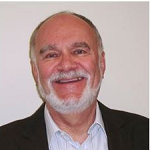 Ron’s chemical expertise includes alpha olefins, synthetic fatty alcohols, ethylene oxide and ethylene glycol, surfactants, lubricant and fuel additives, polyolefins, polyesters, hydrogen and syn gas. 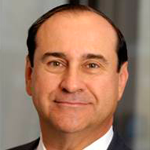 As a consultant, Ron was the leader of Intellectual Property practices at the international firms Ernst & Young and Grant Thornton. As an entrepreneur, he has had C level leadership roles in several startups that include renewable energy project development, renewable energy financing, petrochemical project development, electric motor technology, hydrogen fuel technology, energy storage, fintech and water clean up. As an investor, Ron managed corporate venture teams at Shell, and has been an angel and A Round investor in numerous clean tech companies covering renewable energy production, energy storage, advanced bio materials, carbon fiber composites, enhanced oil and gas recovery, environmental mitigation, novel gas fired power generation and energy efficiency. 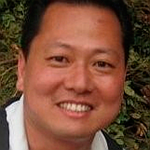 Michael Wu brings 14 years of experience in venture capital, five years in technology commercialization, and eight years in product management. Prior to founding Blue Angel Partners (pre-seed funding on enabling technologies for “Internet of Things”), Michael was a Principal at Chart Venture Partners focusing on dual-use (with both commercial and defense applications), federally funded technologies in Communications, Cyber Security, Decision Analytics, Sensors, and Clean Energy. Prior to that, Michael founded Blue Angel Ventures in angel funding and co-founding or advisory roles at NC-based startups. 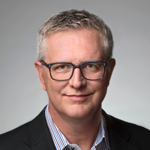 Prior to entering venture capital, Michael held engineering and product management roles in fiber optics and wireless communications at Nortel, Ericsson and Nextel. Michael earned his MBA from Duke University-Fuqua, M.S. in Electrical Engineering and Graduate Certificate in Management of Technology from Georgia Tech, and B.S. in Electrical Engineering from Worcester Polytechnic Institute. 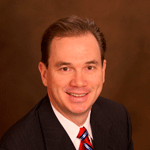 Michael is also a registered patent agent and Certified Licensing Professional. 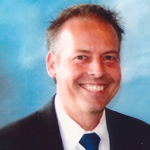 Dr. Vreeke is a cofounder of the Chemical Angel Network. The Chemical Angel Network provides a source of capital for early stage firms that converge with the chemical sector in the materials, measurement and manufacturing space. 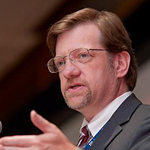 Previously, Dr. Vreeke served as vice president of R&D for Rational Biotechnology, a Rational Systems spin-off. Rational Biotech’s mission was to speed the adoption of personalized medicine through the development of combined IVD and drug therapy products. Rational Biotech identified a novel route to the delivery of personalized therapy without the requirement of massive clinical trials. He also served as the Senior VP of R&D at Pepex Biomedical (St. Louis, MO). Pepex is an early stage medical device company specializing in developing, manufacturing and marketing disposable miniaturized electrochemical biosensors. He graduated from Calvin College with a BS in chemistry and went on to receive a PhD in analytical chemistry from the University of Texas at Austin. He is currently a member of the editorial advisory board of IVD Technology and is a visiting professor in the chemical engineering department at the Universitat Rovira i Virgili (Tarragona, Spain). He sits on several academic, industry, and corporate boards. Academic honors include a Dow Scholar, Welch Fellow and Woodrow Wilson Fellow. 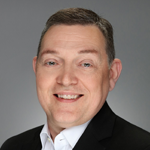 Kevin McLaughlin brings over 30 years of experience in technology commercialization and executive leadership, working for Motorola, Cray Research, SGI, Cisco Systems and Avid technology. 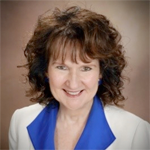 McLaughlin recently served as adjunct lecturer for the University of Arizona, McGuire Center for Entrepreneurship. 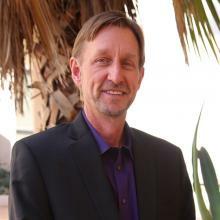 He currently works as a Startup Development Officer with NCET2 (www.ncet2.org) and Mentor in Residence with Tech Launch Arizona on early technology assessments in the areas of optics, engineering, and physical sciences. McLaughlin is Co-founder and CEO for Luma.ai (www.lum.ai) a UA startup and a founding advisor for Pitch Vantage (www.pitchvantage.com). McLaughlin holds degrees in physics and business. Dr. Victoria Scarborough was with The Sherwin-Williams Co. for more than thirty years as the Program Director for the Global External Technology Team. This team has several responsibilities including identifying & leveraging technologies that address the global technical needs of Sherwin-Williams by scouting universities, the technical marketplace, search agencies, venture capital groups, and adjacent consumer product industries. Her lab team provides proof-of-concept research & data for technologies new to the paint & coatings industry. Dr. Scarborough has served as the Director of New Technology for the SW Diversified Brands Division, directed the R&D team for the Thompson’s ® Water Seal® brand and published and presented extensively on wood protection, water repellency and wood chemistry in addition to holding several patents in this area. 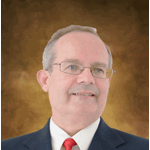 Dr. Scarborough holds a Ph.D. in Biochemistry from the University of Tennessee. 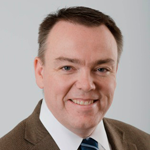 Brian McIlroy, Ph.D., took on the role of new executive director of the Buffalo Institute for Genomics and Data Analytic at the University at Buffalo in April 2016. As executive director of BIG, Dr. McIlroy will develop and implement a comprehensive plan for advancing BIG’s mission, with a focus on driving innovation and generating economic impact through industry collaboration. He will lead the team at BIG in engaging industry and other partners on projects that transform genomic research advances into tools for treating, preventing, managing and diagnosing disease. Brian was recruited to GE Global Research in May 2007 as the Senior Bioinstrumentation Leader. Brian was responsible at GRC for advanced technology for four business units within GEHC – Interventional Systems, Life Care Solutions, Ultrasound & Surgery. Leading a group of approximately sixty technologists at GE Global research and responsible for the inception & development of the advanced technology roadmap for this group. Brian’s current role focus’s on commercial avenues to monetize GE’s intangible assets through partnership and licensing agreements with partners. Overall, Brian has over 20 years’ experience in all aspects of medical device development together with management of clinical trials ranging from preclinical through phase III FDA controlled global trials. 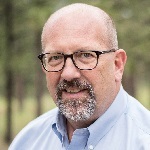 Joseph brings over 25 years of experience in food science research and technology, with emphasis in technology scouting, open innovation, product development, protein ingredient technology and dairy industry. As a Fellow at Kellogg, Joseph co-led and managed Technology Scouting program to provide new capability to build the open innovation program. He collaborated and managed relationships with external partners to strengthen the front end of the innovation pipeline and develop potential new business opportunities. Has a passion for innovation and technical curiosity, future oriented mindset by proactively bringing strong technical ideas linked to business need, while operating within a cross-functional team environment. 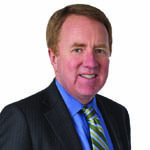 During his tenure at Kellogg, Joseph has held multiple management and technical positions, providing leadership role in planning, innovation, organizing research and development management with proven record of new product launches. Gained global experiences as Director for Asia Pacific R&D and Business Partner, responsible for the overall leadership and success of high profile multiple new products launch, product improvement, line extensions, and identify business opportunities or gaps within innovation process for International Markets. Prior to Kellogg, Joseph has led and managed R&D activities, managed production within protein ingredient industry and the dairy industry within the US, Middle East and Asia. Joseph has an MBA from Iowa State University and a Ph.D. from North Carolina State University. 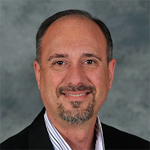 Dr. Robert D. Hisrich is the Bridgestone Professor of International Marketing and the Associate Dean of Graduate and International Programs at College of Business, Kent State University. He has been involved in the startup of numerous global companies. Professor Hisrich received his BA from DePauw University, his MBA, and Ph.D. degrees from the University of Cincinnati, and honorary doctorate degrees from Chuvash State University (Russia) and the University of Miskolc (Hungary). Prior to joining Thunderbird, Dr. Hisrich held the A. Malachi Mixon, III Chaired Professor of Entrepreneurial Studies at the Weatherhead School of Management, Case Western Reserve University. 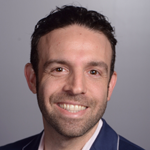 Adam Greenspan has over thirteen years’ experience in technology development, translation, and commercialization. In June 2017, he concluded his role as Director of Business Incubation at the University City Science Center in Philadelphia. He has established BluePoint Innovation which provides commercialization consulting for medical technology startup companies and research organizations. His previous work includes: •	Overseeing the Science Center turnkey incubator facility and delivering advisory support to over 70 research and technology-based startup companies •	Running the Science Center’s proof-of-concept program which funds $600,000 of translational R&D from academic labs annually •	Launching Aries Medical Textiles, a startup company developing antimicrobial textile garments •	Working in the Johns Hopkins tech transfer office to assess invention disclosures, recommend IP filing strategies and draft provisional patent applications, identify appropriate licensing partners and negotiate agreement terms, and correspond with inventors •	Conducting quality control testing of biomaterial formulations for orthopedic trauma medical device company DePuy Synthes •	Performing freelance technology commercialization assessments on a project basis for two consulting firms Adam has degrees and research experience from Johns Hopkins (BS Biomedical Engineering/Materials Science), the University of Florida (Graduate research assistant), Drexel University (MS Biomedical Engineering), and the Mayo Clinic (Summer research intern). He is also registered as a patent agent with the USPTO. 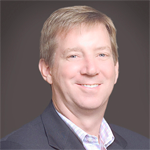 Chris brings over three decades of experience as a corporate officer and board member in multiple biotechnology enterprises ranging from oncology to neural stem cells to pharmaceutical manufacturing equipment and BioMed IT. As a technology company founder and executive, her responsibilities have included fund raising, business development, operations, build out, cGMP manufacturing build/design, regulatory affairs, human resources, international marketing and sales, corporate communication, PR, investor relations, legislative liaison and R&D. She served as CEO of ASM Resources, Inc., the seed venture fund of the American Society of Microbiology. With ten years of laboratory research experience, she has authored peer-reviewed scientific articles, book chapters and patent applications. Chris gained a Ph.D. in molecular biology from the University of Birmingham Department of Cancer Studies, U.K. and joined the Cold Spring Harbor Labs Cell Laboratory under the direction of world renowned Dr. James D. Watson. A founder of 2 publicly traded companies (Microfluidics & NeuralStem), Chris serves on the Board of Washington D.C. ArchAngels and Chairs their Bio-Life Science Caucus. 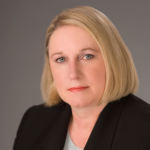 She is currently a Board member and/or Advisory Board Member of several private biolifescience companies. Dr. Helena S. Wisniewski assumed the position of Vice Provost for Research and Graduate Studies and Dean of the Graduate School, at UAA in August 2011. She is President of Seawolf Holdings, a wholly owned subsidiary of UAA, and the Founding Director for the Arctic Domain Awareness Center (ADAC) a DHS National Center of Excellence. She has a breadth of senior executive and leadership experience in academia, the federal government, and private industry. She has an impressive record of leading technology innovation and has successfully launched and sold startup companies. She holds patents and has received awards for outstanding leadership, entrepreneurship, and significant contributions to scientific areas, including the 2002 Women in Technology Leadership Award for Entrepreneurship;the Award of Honor in Recognition of Extraordinary Leadership, Management, and Service from Lockheed Award for Special Achievement from the CIA, and for Special Recognition from DARPA. Recently she was selected as a Fellow of the National Academy of Inventors and will inducted in April 2016 at a ceremony in Washington, D.C.
Wes Blakeslee is a former NASA engineer and systems analyst, Wes spent more than 16 years at The Johns Hopkins University. He began as an Associate General Counsel, where he practiced intellectual property and complex business law. He also taught "Patents, Trademarks and Copyrights" and "Law, Intellectual property and the Information Age". He was the lead University attorney in negotiations acquiring a university and health system wide enterprise management software system. His expertise includes complex business agreements and operations, copyright fair use, sponsored research and collaboration agreements, material transfer agreements, intellectual property agreements, export controls, university and business policies, corporate formation, mergers and acquisitions. In 2006, Wes was requested to become Executive Director of Johns Hopkins Technology Transfer, where he led a formerly struggling office to seven consecutive years of growth, turning the office into one of the strongest in the US. 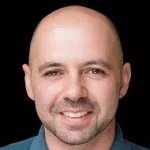 Vitaly M. Golomb is one of the most dynamic and in-demand speakers and trainers in the world of startups, venture capital, and corporate innovation. He is the author of Accelerated Startup (2017), universally praised by entrepreneurs and investors alike as thestartup creation manual. A serial entrepreneur in the Silicon Valley trenches since his teenage years, he is a Managing Director and Global Head of Principal Investments at IEG Investment Banking Group. He was previously a founding Partner at HP Tech Ventures, the corporate venture arm of Silicon Valley’s original startup–where he was recognized as a Global Corporate Venturing Rising Star–and a three times CEO. He is a contributing writer to TechCrunch and a top-ranked mentor by accelerators and business schools in the US, Europe, and Asia. Vitaly lives in the San Francisco Bay Area and travels to over 20 countries each year to consult and speak for major conferences, corporations, associations and universities on entrepreneurship, innovation, and design. His ability to break down complex concepts and inspire, educate, and delight audiences across industries and cultures, is second to none.